Remote recording devices used to 'eavesdrop' on a reintroduced population of one of New Zealand's rarest birds have been heralded as a breakthrough for conservation. Scientists from international conservation charity ZSL (Zoological Society of London), Imperial College London and conservationists from the Rotokare Scenic Reserve Trust used acoustic monitoring devices to listen in on the 'conversations' of New Zealand's endemic hihi bird, allowing them to assess the success of the reintroduction without impacting the group. For the first time ZSL scientists were able to use the calls of a species as a proxy for their movement. A happy hihi call sounds like two marbles clanging together in what is known as the 'stitch' call. Scientists saw the calls change from an initial random distribution to a more settled home range—marking the hihi reintroduction and the new method a success. The study, published in Methods in Ecology and Evolution today (5 February 2019) was carried out in the Rotokare Scenic Reserve in the Taranaki region of North Island, where 40 juvenile birds were released in April 2017. The first time hihi have been seen in the region since their regional extinction over 130 years ago. Dr. John Ewen, Senior Research Fellow at ZSL's Institute of Zoology said: "Hihi are an important native species, who play a crucial role in pollinating indigenous plant species and need a pristine environment in which to thrive. Reintroduction, or translocation, is considered the most effective conservation action we can take to save the hihi bird in New Zealand, but as with other reintroduction programmes for other species around the world, we've found it can be challenging to accurately monitor their success. "Physically monitoring animals in the field or fitting them with radio-trackers can be invasive, expensive and more importantly can influence the behaviour or survival of released individuals, which could drastically influence our understanding and outcome of the reintroduction. "Using acoustic recording devices enabled us to remotely monitor the birds we released, giving us a true understanding of how they settled post-reintroduction—this has really exciting implications for the reintroduction programmes of many other difficult to monitor Endangered species globally." Oliver Metcalf, now a Ph.D. 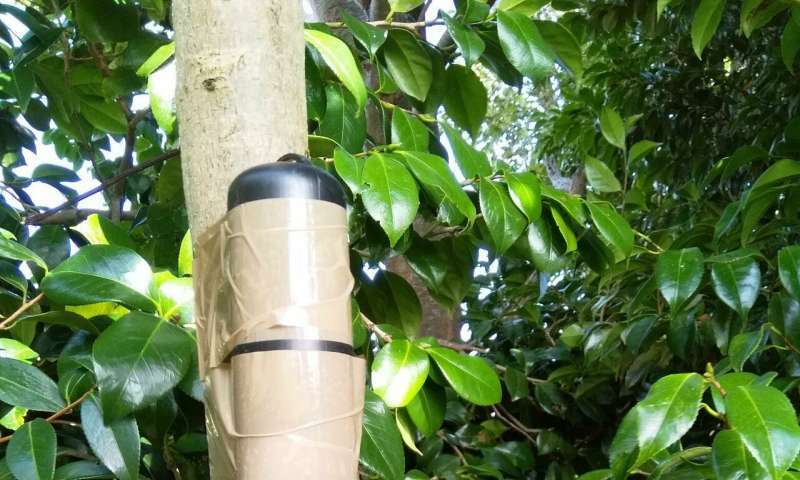 Candidate at Manchester Metropolitan University, was inspired to use the technology for his masters studies at ZSL's Institute of Zoology and Imperial College London: "By recording and listening to the hihi calls, we were able to figure out how the birds were using the area they'd been reintroduced to. Using the calls, we found the birds moved from an initial exploration phase around the habitat, to a settlement phase—meaning the birds had established their own territories, or in other words—a sure sign of a happy hihi." Simon Collins, Sanctuary Manager for Rotokare Scenic Reserve Trust said: "Hihi actually means 'first ray of sunshine' and in Maori culture the birds are associated with health—essentially, they're an age-old indicator of a healthy forest, and not only are they important to protect, but have proved to be a unique and ideal model to study the effectiveness of this new technique, which has huge potential for reintroduction programmes for other species." 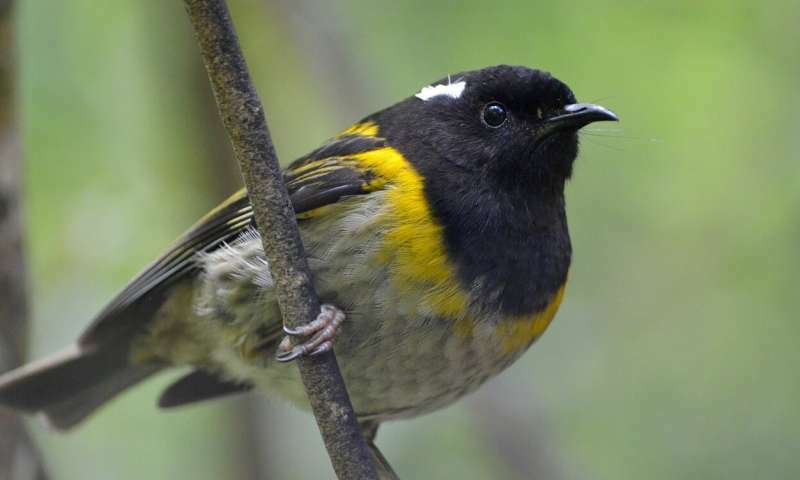 ZSL has played a major part in the hihi's recovery since 2004—helping to expand the population from one, to seven new populations across their former range in Northern New Zealand. ZSL works closely alongside Rotokare Scenic Reserve Trust to support the establishment of this most recent reintroduction effort.